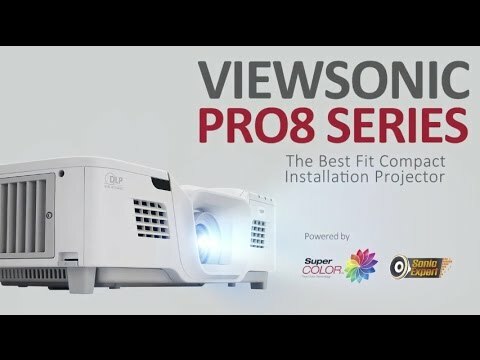 Utilizing a unique "Flex-In" design, the Pro8800WUL integrates an intuitive form, high flexibility and an easy installation process, making it the ideal installation projector. 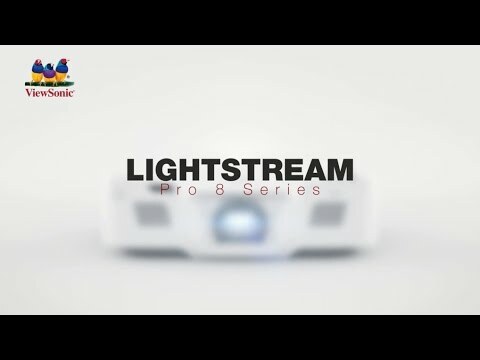 Equipped with 5,200 ANSI Lumens and WUXGA resolution, the Pro8800WUL boasts a sleek top cover and an intuitive PortAll® compartment to accommodate HDBT, wireless dongle, or PC stick integration for versatile application, while the cable management and 4-in-1 power button embody a bold and futuristic design. Moreover, the 4 HDMI ports, and centered lens with multiple adjustment in vertical lens shift, 1.6x optical zoom, HV keystone (auto V), and 4-corner offer flexible and easy installation. Powered by SuperColor™ and SonicExpert®, the Pro8800WUL provides a professional audiovisual performance. The Pro8800WUL not only meets large venue Pro AV projection requirements, but is also more than enough for general high-brightness projection. Movie Mode: for watching movies with better saturation in a dark environment. Higher resolution than Full HD, WUXGA offers a wider viewing area for some engineering graphs, Excel sheets, or working sheets. Display 3D images directly from 3D Blu-ray players. 3D images can be viewed with optional ViewSonic PGD-350 Shutter Glasses, or any other compatible 3D glasses. The exclusive SonicMode sound settings deliver optimized audio performance for presentations, video clips and music. The "Standard" preset offers the best sound levels for general use. The "Speech" preset enhances the sound of spoken words, making it ideal for projecting speeches and lectures, or for sales calls and video conferencing. The "Entertainment" preset is fine-tuned with more bass and richer mid-high frequencies ideal for music and movies. To satisfy a presenter’s needs, this remote control contains wireless presenter functions (mouse control, page up-n-down, etc.) and hotkeys for critical, major functions. A programmable hotkey “MyButton” can be configured to launch the most commonly used functions. Users can also Control up to eight projectorsin the same venue or from a mobile device via free vRemote app.